Looking for an all-in-one anti-aging serum? Nature's Way offers one that offers anti-aging properties, but also boosts collagen production, lightens and plumps your skin, and reduces the appearance of fine lines and wrinkles. 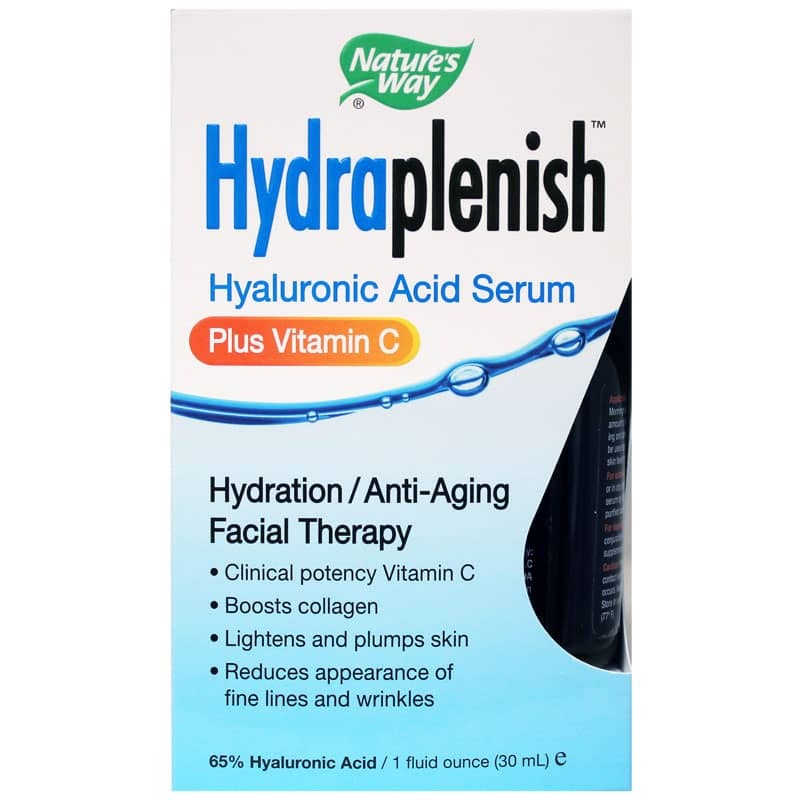 Hydraplenish Hyaluronic Acid Serum Plus Vitamin C is the ideal topical hydration and anti-aging facial therapy for anyone looking to improve the look of their skin. Shake well before using. In the mornings and evenings, apply a small amount to face and neck. Use anytime over makeup when your skin feels dry. If you desire extra moisture, you can reactivate the serum by misting your face with water throughout the day. 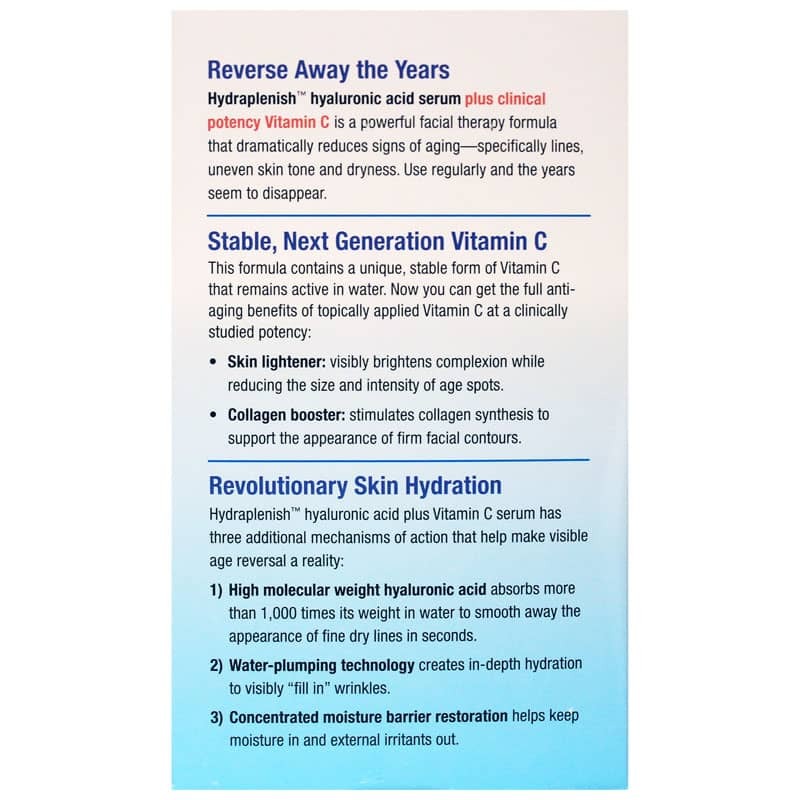 For a hydrating way to fight the signs of aging, give Hydraplenish Hyaluronic Acid Serum Plus Vitamin C from Nature's Way a try! 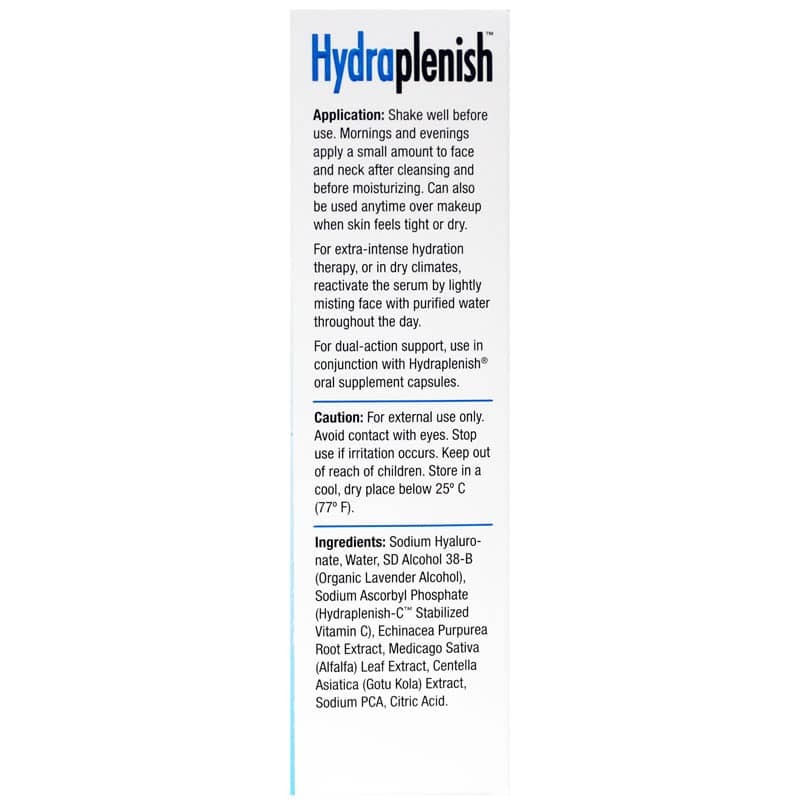 p>Hydraplenish is a powerful facial therapy formula that dramatically reduces signs of aging - specifically lines, uneven skin tone and dryness. Use regularly and the years seem to disappear.